Printmaking is endlessly fascinating to me, the image you see on a piece of paper is the result of a complex process. I love the way that a print is a two dimensional mark of all the work that has gone before it for the making of a three dimensional plate. Prints are the basic way we can see that a person has been there, a fossilised footprint in a river bed, a fingerprint fired into the clay of an ancient pot. Prints are also the most basic way of communicating, a hand print intentionally made on the wall of a cave shows who is there now to the person who will be there in the future. A message is found by those future people, a story of he who went before. I learn etching, a method of intaglio printmaking involving a metal plate bitten into by acid, my teacher is Ann d’Arcy Hughes at bip-Art in Brighton. Traditional etching is an alchemy, a practice of patience, process and methodical repetition; not things that come naturally to me, the discipline is a challenge. At 4 Jodenbreestraat in Amsterdam you can see Rembrandt’s printmaking workshop where he printed the shell picture in 1650. The equipment Rembrandt was using all that time ago is almost exactly the same as that which we use in our studio in Brighton. When I went to visit I could have stepped into his studio and been able to make a print using the same methods and tools in 2019 as he did in 1650. The ways that Ann shows me to do things sometimes seem a bit protracted and unnecessary but every time I try to modify something I realise – just as when I think I can improve on what Delia says in the kitchen – that it is done that way for a reason. It might take ages and be arm achingly dull but these methods the masters teach us have stood the tests of time for a reason. They are the best way. By spending time with scientists and finding out more about how they work in the field I have been learning how science and art are similar. In both the science lab and the printmaking workshop you have to learn to do things properly in order to understand why they are done that way. Only when you have learnt the craft can you start to experiment, to muck about with the process, break the rules and see what happens. Well I’m not sure if scientists muck about exactly but they can certainly experiment. To do your science you need data, you need to gather some input from somewhere and for printmaking you need images and ideas, you must collect some inspiration. Everyone needs to go out in the field. Science in the field throws things into disarray, you can plan and label and predict as much as you like but there will be variables you had never expected and things beyond your control. All you can do is be prepared to change your plans and adapt your process to whatever occurs. It is the same as an artist in the field. New skills are required, you need to do quick problem solving, be able to rethink, improvise, change and adapt, making drawings can be difficult even if you are just using a paper and pencil. There is always the weather to contend with, if your paper is wet you may find you can’t draw on it which means you might have to use mud as paint or a lichen covered twig as a green drawing stick. In the field you have to draw faster than usual, things in nature never keep still, even the light moves fast; you are in a different drawing position to normal, often with a numb leg, and you are always too cold or too hot. If you are with other people they usually want to move on before or after you do. The field can be a dangerous place, a polar bear might be coming to eat you or birds might be trying to scare you away, or you might be sitting on a geothermal hotspot by mistake which causes your boot to melt, – and that’s just a pen and pencil scenario. Printmaking always involves more kit and more challenges but I have nonetheless been trying out printmaking in the field on my Deception Island expedition. The images produced are not masterpieces, they are not really finished pieces; like the data we collect for science, which is initially just charts and lists of numbers, the sketches from the field are the ingredients for the final work, elements which can be mixed together in different ways to produce something beautiful and exciting. Hopefully my sketches capture some of the energy of the landscape and the moment of me being there within it which I can then develop back in the studio. Installing a solar panel on Deception Island, collegraph made on a coat label. The best thing about work in the field is the opportunity to shake things up, it’s fun adapting your kit and inventing Heath Robinson ways of doing things using only what you have to hand. I managed to do some etching but the whole metal plates and acid scenario was quite limiting, I’ll show them another time. Collage, on the other hand, is never complicated. As long as you have glue you can make collage. I used coloured papers from the wonderful stationary shop in Punta Arenas to make some sketches of Deception Island. There is a kind of printmaking called collegraph where you make a collage and use it as a printing plate. I collected bits of packaging from things I used along the way and started making some images with those. In Ushuaia I found the world’s most southerly printing press and I made a series of prints there from my collegraph plates, to me these images tell a story of where I have been and what I have seen, each one is like a journal distilled into a snap shot. 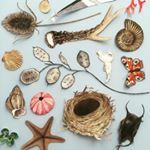 On April 13th 2019 I will be running a nature based art workshop on the ONCA barge in Brighton Marina, it’s for children and adults to come and explore the natural world in a creative way, we will be having a look at antarctic animals, penguins and humpback whales and playing with tone and texture in collage, all based on my work in the field. Absolutely no experience necessary, we will be experimenting rather than aiming for masterpieces. Previous Post Antarctic Animals Part 2: Mostly Seals .